Go Beyond traditional Mexican fare with the author of the New York Times Best-Seller 101 Things to Do With a Cake Mix! 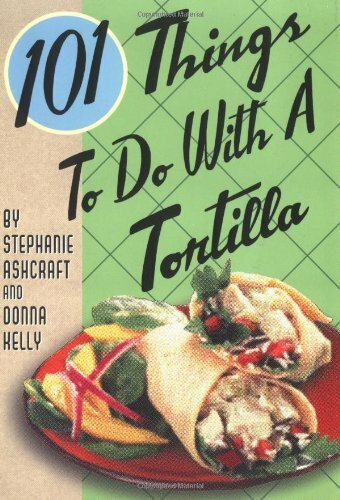 This book contains Appetizers, Quesadillas and Wraps, Kids Snacks, Soups and Salads, Desserts, Mexican Favorites, Breakfast and Main Dishes along with Helpful Hints. Included among the recipes are Southwest Egg Rolls, Lattice-Top Chicken Potpie, Tortilla-Crusted Fish Fillets, Cherry Enchiladas, Strawberry Shortilla, and more.